HOUSTON (WTVD) -- For Duke, the road to Houston seems very similar, and if the team makes it out of the Lonestar State, that deja vu trance will continue in an even better way. The Blue Devils' last appearance in Houston came in 2010 and went perfectly. Duke escaped with a 2-0 regional record at NRG Stadium (then known as Reliant Stadium) and headed to this year's Final Four destination, Indianapolis, which is a spot that the team left as National champs. It's a path that Coach Krzyzewski desperately wants to repeat and is using as motivation for his current players. "[In 2010], we literally earned the right to go to the Final Four, and my point to my team is, hopefully we'll be in two games, and hopefully we'll be as tough," he said, "but in order to get to the second game, you're going to have win a heck of a game, and that's how we feel going into Utah." Duke's Sweet 16 showdown against the Utes will not be easy. The two teams match up evenly in categories like 3-point FG percentage (Utah sits at .408 vs. Duke's .389), field goal percentage (Utah is at .487 to Duke's .507) and points per game (Duke finished with nearly 8 more points per game). On the boards, Duke holds +3 advantage, but a balanced Utah team could wipe away any of the Blue Devils' favored edge. "They've just got all of the pieces," Duke freshman Tyus Jones said. "They've got shooters. They've got big men, [and] they play defense. It's just a well-coached team and a team that's very together." Utah's engine comes from Pac-12 First team selection Delon Wright. The senior guard averages nearly 15 points per game and paired with three-point threat Brandon Taylor, helped power one of the most potent backcourts in the Pac 12 conference. 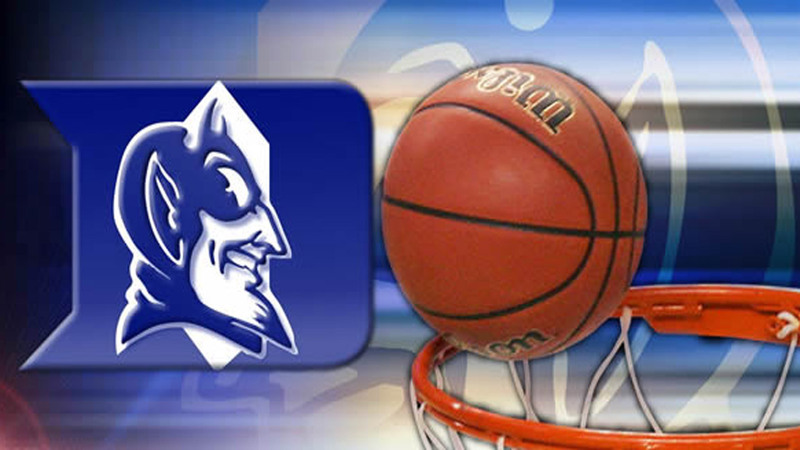 "They're one of the best [backcourts]," Duke senior Quinn Cook said. "With Taylor, he reminds me of [UNC's Marcus] Paige or [Syracuse's Trevor] Cooney with his shooting ability, so you can't lose him at all. Wright, he's like Jerian Grant -- a playmaker, facilitator, and he can also score." In the paint, the Utes have a star freshman of their own to match up against ACC POY and Freshman of the Year, Jahlil Okafor. Utah's Jakob Poeltl is averaging nearly 15 points per game in the NCAA tournament alone and was a consistent 9 point, 6 rebound guy for Utah this entire season. "He's one of the good players on the team," Oakfor said about Poeltl. "He's a big man. He does well on both ends of the floor, so it should be a fun game." A fun game for the Blue Devils would mean surviving an advancing to face either UCLA or Gonzaga in the Elite Eight. For now, though, Duke will lean on comforting moments from the past, in order to help push them to new heights in this year's NCAA Tournament.